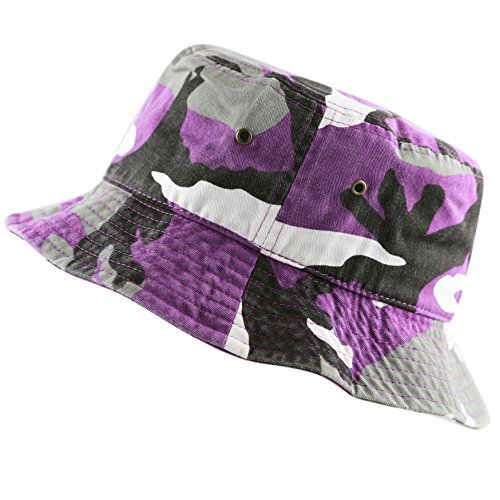 THE HAT DEPOT 300N Unisex 100% Cotton Packable Summer Travel Bucket Hat (S/M, Purple Camo) by THE HAT DEPOT at Mas Fashion. Hurry! Limited time offer. Offer valid only while supplies last. This modern and trendy hat is perfect hat for anywhere you go. This hat combines both style to turn people's head and comfort for your all-day wear.